This is a detective story set in Beijing that provides a glimpse into life in modern China with all its contradictions. The central character, Mei, is a private detective. 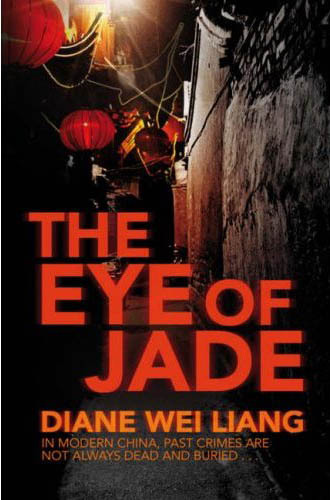 She is approached by a family friend, Uncle Chen, to look for a Han dynasty jade seal. The seal had gone missing during the Cultural Revolution when the Red Guards destroyed many historical artefacts. Because so many of them were lost, the surviving artefacts are extremely valuable. If the jade were found, it would be a national treasure, but Uncle Chen wants to sell it on the black market. Mei, in spite of her better judgement, decides to take on the case. The hunt for the jade is less important in itself than in what it unearths. The Cultural Revolution still throws long shadows: Mei’s father was sent to labour camp for being an intellectual. The family went with him, but her mother managed to get herself and her two daughters out, and Mei’s father eventually died in the camp. Mei’s relationship with her mother is central to the book. It is a complicated one (as it often is). Mei adored her father and couldn’t understood why her mother abandoned him, and never really forgave her for it. Her mother wants her daughters to be successful and to be able to play the game, so to speak—something that Mei refuses to do. She feels that she has disappointed her mother. Mei had a prestigious job at the Chinese State Security but, for reasons that become clear later, had to leave. She works on the margins, as private detectives are banned in China, relying on some of her contacts in State Security to help her. She earns enough to have her own apartment, a car and a very useful male assistant, but it’s not much compared to her sister Lu, who is extremely successful in television and is about to marry a rich man. Mei’s mother has a stroke, which lands her in hospital. Who is the mysterious man who Uncle Chen brings to visit her? There are obviously family secrets that Mei knows nothing about. What is the eye of the jade? Although the old proverb says that the truth shall set you free, when Mei finally learns the truth, it is not liberating. What I enjoyed about this book was the glimpse of life in modern China. On the surface, it seems to be a consumer society like many others, where money rules. However, the fallout from the Cultural Revolution still affects people, even those who were very young when it happened. It feels like different historical periods coexist in the city, along with the ever-present ghosts of the past. Diane Wei Liang was in a labour camp with her parents when she was a child, and was part of the Tiananmen Square demonstration as a young woman. I think this book could have been longer with more about China’s past. As it stands, it is a light, enjoyable read, but one that could have done with a bit more heft. Rereading John Steinbeck’s The Grapes of Wrath after a gap of nearly 50 years has left me with untold riches. The Grapes of Wrath is not an easy work to summarize, unless one sacrifices many of its uniquely brilliant and always affecting facets. It is a great work of fiction first, meticulously structured and flawless in the portrayal of its characters, their voices pitch-perfect. 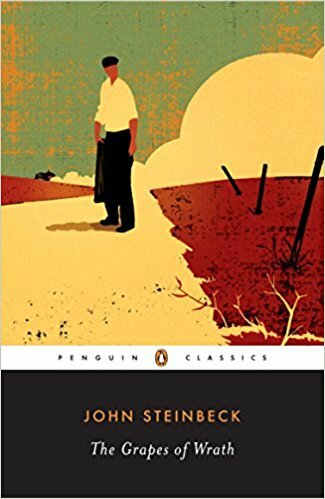 His creative genius aside, it is John Steinbeck’s powerful portrayal of agrarian capitalism that dominates his novel. Set in the years of the Great Depression in the USA, the story tells us how small farmers—sharecroppers and tenant farmers—are uprooted from their land one cruel season when the rains fail and the earth becomes a restless bowl of red dust. Land-owners, desperate for quick returns because they owe money to the banks, have tractors sent in to work the land and evict the farmers, breaking down their lives, home by home, family by family, and spirit by spirit. 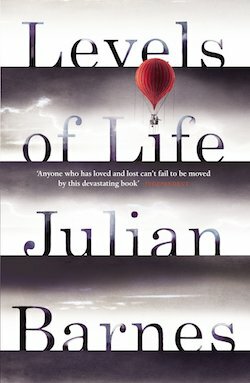 The plot of the story tracks the excruciating journey of one large family, the Joads—grandparents, parents, four sons and two daughters, the elder of whom is pregnant with her first child, a son-in-law, an unattached uncle, a has-been preacher, and a dog—and their losses, heartbreaks, and shattered dreams; their undying spirit in the face of boundless despair; their goodwill to fellow-travelers on this pitiless road to vanishing dreams. Their dog is the first to die—a vehicle hits him on the highway when the family makes its first stop; the next victim is the grandfather, who had to be drugged and forcibly lifted on to the back of the truck, so determined was he not to leave his home. Pauperized families fall prey to ruthless car salesmen. Beleaguered families are cheated and humiliated when forced to barter their possessions for gasoline, food, and shelter. As the hungry and homeless move seeking work, their entire worlds hoisted on rickety wheels, the frightening truth of faceless capitalism unfolds, showing what happens when businesses take over farming, recklessly exploiting precious land to speed up profit. Technology and science accelerate this process, innovating methods, intensifying work, and increasing yields. Expounding on what this means to the migrant farmers, in one profoundly nuanced digression (Chapter 25), the narrator meditates on how science has the capability to help humanity but can’t when it is run by money. Speaking of “men of understanding and knowledge and skill, who experiment with seed, endlessly developing the techniques for greater crops of plants whose roots will resist the million enemies of the earth…,” the narrator calls them “Great men.” Pretty quickly following this, he introduces a sub-text that raises a question about the wisdom of interfering too much with the processes of the earth. “And always they work,” he says of the scientists in the experimental farms, “selecting, grafting, changing, driving themselves, driving (my emphasis—KB) the earth to produce.” And when the cherries and purple prunes and pears yield like never before, their price falls, and only “the great owners can survive, for they own the canneries,” where “four pears are canned” per container and sold for huge profits, because canned fruit does not spoil. What about the grapes that grandpa craved? “There’s a thing I ain’t never had enough of. Gonna get me a whole big bunch of grapes off a bush, or whatever, an’ I’m gonna squash ‘em on my face and’ let ‘em run offen my chin,” he says. To be sure, there are a lot of grapes in the scientifically enriched farms, but that fruit is not meant for the likes of grandpa. The excess produce of grapes, not fit for good wine, gets pressed into alcohol, smelling of decay and chemicals, on which to get drunk. It is no surprise that The Grapes of Wrath was banned soon upon publication in parts of California, where the migrant farm laborers suffered most. Steinbeck’s work is way more than a fat pamphlet or a rant against agrarian capitalism. It is an exquisite novel, meticulously shaped, with the plot-line regularly interspersed with philosophical digressions, sometimes satirical, sometimes lyrical, and sometimes tragic. If the Joad family members are memorable, so are the many itinerant characters whose lives intersect with that of the Joad clan, friends as well as foes. Nowhere is Steinbeck’s artistry more stunning than in the way he peoples his fictional world. 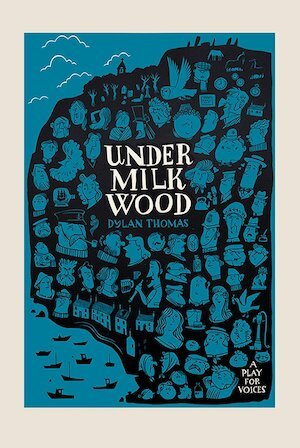 His characters speak in such individual voices that it doesn’t take long for the narrator to establish a sense of their inner lives without any overt commentary whatsoever. And every one of the characters undergoes change. How could they not, for the journey they are forced to undertake is to destinations that are mirages and worse? We see the large and closely-knit Joad family fall apart on this journey, with deaths and desertion taking away elders, brothers, and even a young husband. Steinbeck tells of the pain of such loss as if in a play, always through the voices of characters speaking of their new and frightening despair, where once there were dreams and hopes. Remarkably, the novel begins with dust and ends in a deluge, and yet it is not nature that destroys the lives of the poor. The story of the journey begins with a young couple anticipating the birth of a child, and ends with the abandoned wife, now enfeebled and distraught with her own immeasurable loss, who still finds the courage to give life to another. As the novel draws to a close, the Joad family is nowhere near a destination, but one gets a feeling that now, for them, a new journey has begun. The riches contained in The Grapes of Wrath will continue to inspire all who respect life and love the earth. This book is about coming together and moving apart, of soaring to the sky and slipping into the underworld. It begins with balloonists in the late 19th century, then moves on to a love affair between two of the balloonists before leading to the heart of the book: the death of the author’s wife. Ballooning was dangerous but liberating, a way of breaking free from constraints, both physical and social. It was, however, a freedom that was subservient to the weather, to the direction and force of the wind, and could easily end in disaster. You could be floating in the sky one moment and flung down to earth the next, knee-deep in a rose bed. The title of the first chapter, The Sin of Height, has echoes of Icarus, the man who flew too close to the sun which melted the wax on his wings. As the book begins, in Britain and France in the mid- to late 1800s, people are taking to the skies in hot air balloons. The author focuses on three of these balloonists: Colonel Fred Burnaby of the Royal Horse Guards in Britain, and the actress Sarah Bernhardt and photographer Félix Tournachon, better known as Nadar, in France. All the characters in this book are real. Nadar, one of the early portrait photographers, also combines photography and aeronautics. Unlike his contemporaries, he is more interested in “the vertical” than the horizontal. Even his portraits attempt to plumb the psychological depths of his sitters, which is what makes them so memorable. But images can be formed in other, more ephemeral, ways: such as when Burnaby and his companions in their hot air balloon notice that the sun is projecting their shadows onto a cloud, like a “colossal photograph”. We come down to earth in the second chapter, On the Level, which is about the affair between Sarah Bernhardt and Fred Burnaby. Bernhardt has conquered the stage in spite of being too small, too pale and too thin (she claims to be able to “slip between raindrops without getting wet”). She is Jewish in an anti-Semitic country and also a bohemian, which appals the puritans. Burnaby is a well-travelled man with no time for conventions. The affair between these two misfits in their worlds feels inevitable and natural—until it ends when Bernhardt moves on to another lover. Burnaby is heartbroken but cannot be angry with her. After all, she had always been honest with him: “on the level”. He eventually marries someone else but never gets over losing Sarah Bernhardt. This takes us to the third chapter, The Loss of Depth, which is the crux of the book. We are now in the subterranean depths of grief: the loss of love, but in a more final and devastating way. After 30 years of being happily married, Barnes’s wife dies. And this is what the book has been leading up to—the unbearable pain at the loss of a loved one. This chapter is hard to read at times because it is so close to the bone, especially if you have been through the death of someone dear to you.